Many people throughout the world use the drug Lipitor. 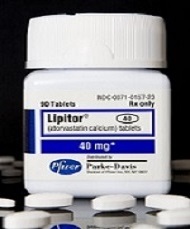 Lipitor, also known as atorvastatin, is part of a class of drugs called statins. These drugs are used to treat high cholesterol and triglycerides, as well as help raise the HDL cholesterol (“good” cholesterol). Most people are on a dose of anywhere between 10 and 80 mg per day. Keep in mind that Lipitor, like any other drug, has potential side effects. Though millions of people use these drugs without any problem, it pays to be aware of the symptoms of any side effects. Please keep in mind that this article doesn’t contain all the possible side effects of the drug, and that you should always speak to your doctor about any side effects that might occur. Most prescription drugs have the potential for side effects. Sometimes this is caused by the way the drug acts in your body, or the way it interacts with other medications you might be taking. Though side effects of Lipitor are rare, they do happen, and sometimes they can be severe. The most serious side effects of Lipitor include muscle problems or liver problems. Muscle problems can include muscle weakness, pain or tenderness. These problems might be mild or severe. If you are more tired than usual or feeling unexplained pain in your body, you might be suffering from side effects. Liver problems can include several symptoms, including upper belly pain, loss of appetite, feeling tired or weak, urine that is dark amber in color or a yellowing of the skin or eyes, otherwise known as jaundice. Again, these symptoms might be mild or severe. You might experience all of them, or just a few. Your doctor should do blood tests during your time on Lipitor to ensure that your liver is functioning properly. If you have a certain medical history, you might want to avoid taking Lipitor. These include any family history of liver disease, kidney disease, or thyroid disorder. Those who have a history of weakness or muscle pain should not take it, as it might make their situation worse. Those who drink more than two alcoholic beverages per day should also avoid Lipitor, as their chance of liver problems is increased. If you are taking any other drugs, you should be aware that Lipitor might interact with those drugs, leading to an adverse reaction. Do not take Lipitor if you are also taking some antibiotics, antifungal medications, medications for HIV, any medicines that contain Niacin, Telaprevir, Fenofibric acid, fenofibrate, gemfibrozil, or diltiazem. You should also avoid Lipitor if you are taking any drugs that might weaken your immune system. Keep in mind that some over the counter drugs and herbal remedies might also interact with the drug; speak to your doctor about all medications you are taking to help determine whether you should be taking Lipitor along with them. It is important to note that you should never take Lipitor if you are pregnant or nursing without first consulting a doctor about whether it is safe for your child. If you become pregnant while taking Lipitor, stop taking it immediately and consult your physician. When you start taking Lipitor, make sure to take it exactly as prescribed. Your doctor might want you to take it once a day, as usual, but it might be prescribed for more than once a day. Don’t double up on the medication or skip medication doses. Make sure to take it at the same time every day. You can take Lipitor with food or without, depending upon how well you tolerate the medication. Keep the medication at room temperature, and don’t store it in your bathroom or kitchen cabinet. Though you should not stop taking Lipitor without your doctor’s approval, there are some cases in which you should stop taking Lipitor immediately. If you have uncontrolled seizures, develop severely low blood pressure or suffer from electrolyte imbalances, you might have to stop Lipitor. If you have a severe infection or illness, or you are going to undergo surgery, you might also need to stop taking the statins. Speak with your doctor to be sure of whether or not you should continue using the drug. Remember that your blood should be tested regularly while you are on the drug to help spot potential problems before they become serious. You will also need to incorporate diet, exercise and lifestyle changes for weight loss or weight control while you are taking these drugs. You might have to take Lipitor on a long-term basis, or you might be able to control your weight and diet well enough to wean yourself from the drug over time. Speak with your doctor about the diet and exercise that can get you to a proper weight, and your options for gradually coming off the Lipitor regimen.